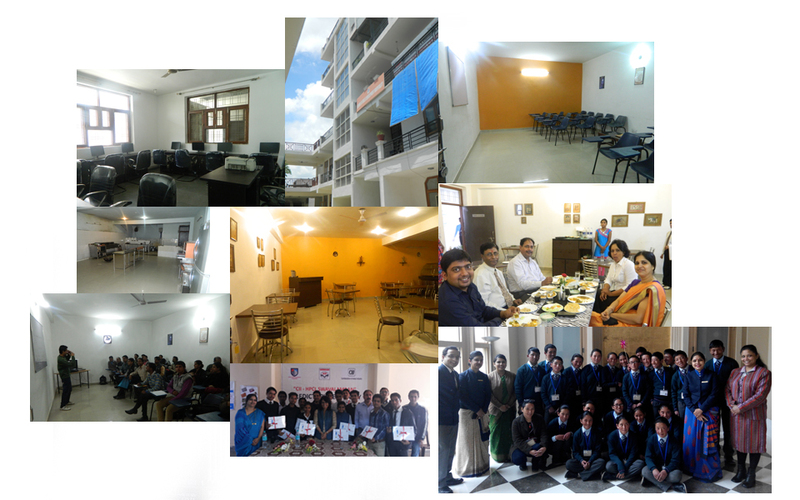 School of Skills Developments in Hospitality (SSDH), founded in 2010 at Gurgaon, is a pioneer institute for skilling and creating world class professionals for the hospitality sector – one of the fastest growing and much in demand industry of present times. Established, managed and run by well qualified and experienced professionals from the hospitality sector, backed by a team of dedicated staff, and equipped with modern infrastructure and facilities, SSDH strives to transform the budding professionals for great careers ahead. An ISO 9001:2008 certified hospitality school, SSDH is recognized and accredited with various Government councils and confederations, besides having partnerships with International Universities and Associations, thus helping students acquire skills and also get employment in the best of companies. SSDH offers a host of courses for distinct strata of the student community to get skilled and trained for the most sought after careers of present times. Besides its most sought after 3 Year Integrated Degree Program in Hospitality Management & Tourism Studies, SSDH also offers four Specialized Diploma Awards of 12/18 months duration covering core areas of the hotel industry. Moreover, the institute also conducts short term Skill Development Programs of 6 weeks to 6 months to empower candidates by skilling them for various specialized jobs in the hospitality industry. SSDH has a dedicated pool of trained and experienced staff which works in closely with various Government Organizations, Corporate Houses as well as other establishments for implementing their CSR Initiative Programs. The institute has the privilege of working with Delhi Police, Haryana Police, Gas Authority of India Ltd. (GAIL), Confederation of Indian Industry (CII), Hindustan Petroleum Corporation Ltd. (HPCL), and many reputed corporate houses, in this cause of nation building. With its resolve and commitment to work in all areas of the hospitality sector, SSDH looks forward to make an outstanding contribution to this fast growing industry of the present times.